I have a summer cold which is making me feel awful. So I didn't feel like getting out any paint. 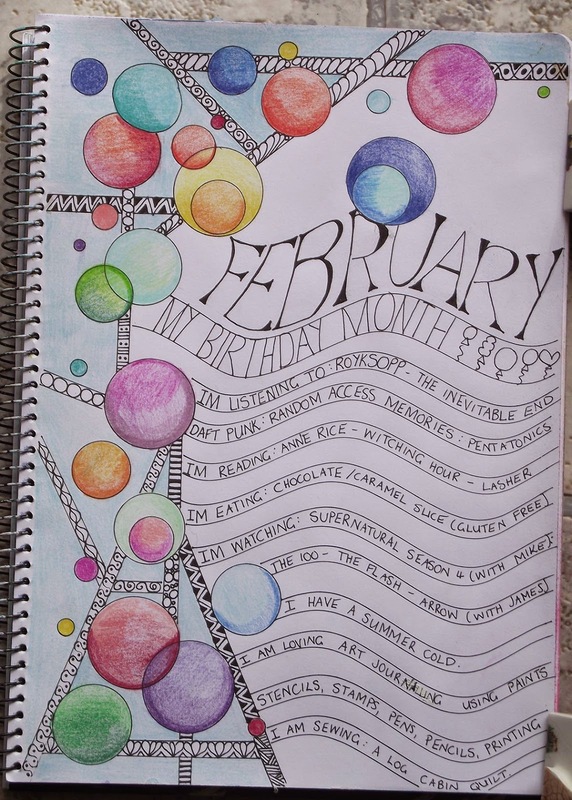 Pencils and pen were a great way for me to do something creative without thinking too much. I have three gorgeous sets of 72 pencils that i have invested in over the years. 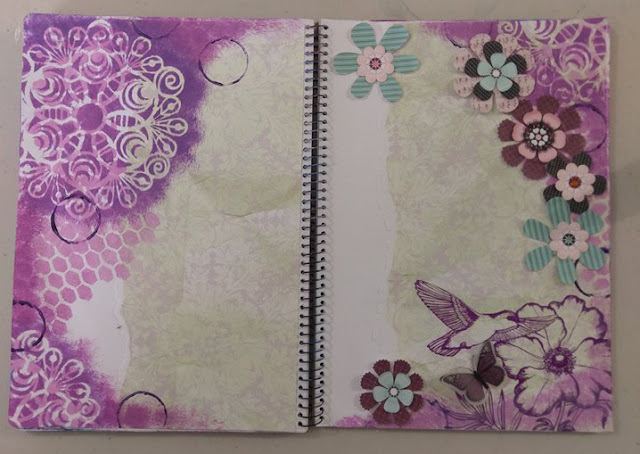 This pages was made using the watercolour pencils but without brushing on water. The page needs to be sealed carefully afterwards to avoid any running. But I just love the softness of their colours. This page just begged to be created after watching the Socceroos win the Asia cup. Just looking at it I realise I failed to mention anywhere what the match was :) I'll have to go back and fix that. 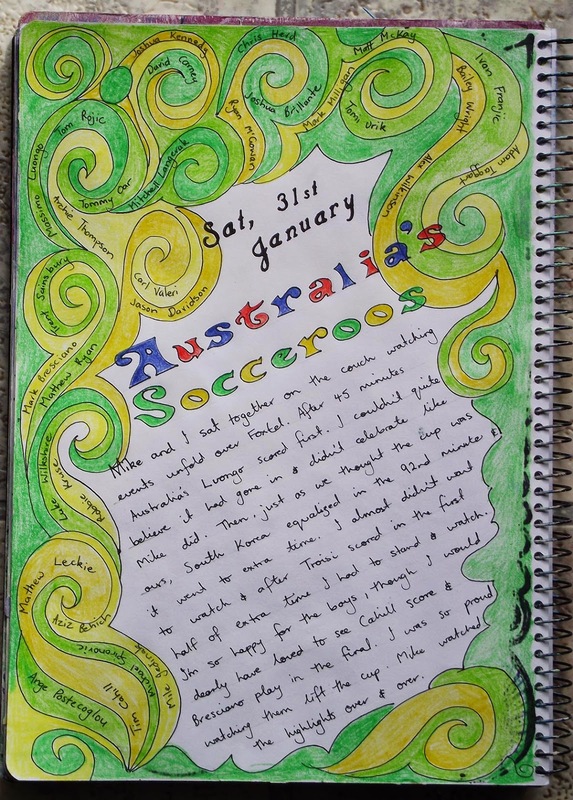 I used 4 colours (two greens and two yellows) in the swirls, a blue and red for the "Australia's" and a black pen. All the players names are written in the swirls. Pages like this are important to me. 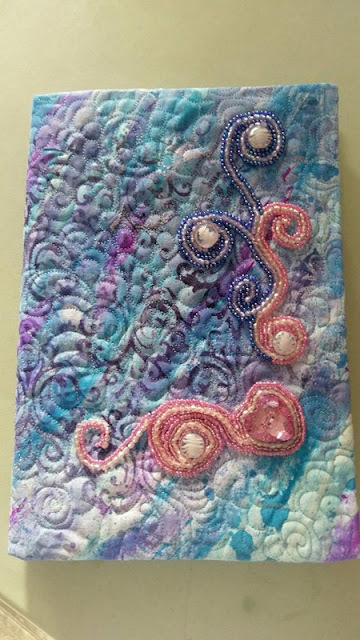 I dont' just journal because I love to create art (though I do love it). I want to really document my life too. I think it takes more than just a few words on a page sometimes to record the events or emotions. 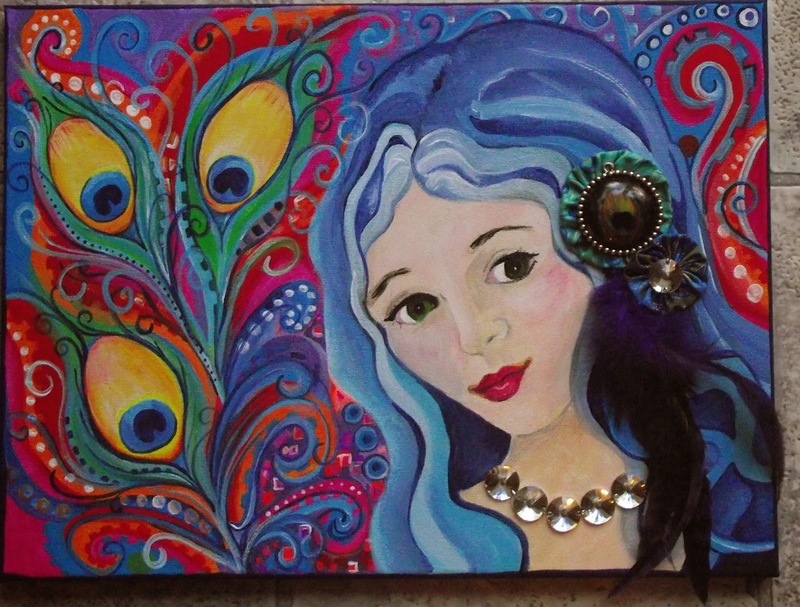 I'm thinking of doing a video blog about the importance of words in my journals .... when I am better and not stuffed up. I'm think I'll also do some vlogs on white pages and pencils.